Rivaling Peru’s Cuzco and Uruguay’s Colonia as the most charismatic Colonial town on the Latin continent, Cartagena de Indias is a city that lures you into a timewarp of conquistadors and epic love stories and manages to steal part of your heart forever. This Caribbean port is both the most popular tourist destination and the safest metropolis in Colombia, and with the beauty of its UNESCO-listed historic centre, the brightly coloured buildings, costumes and exotic fruits all glowing under the heat of the tropical sun, and the rhythmic cumbia melodies that echo through the streets, visitors feel an almost irresistible allure from arrival. The Cartageños themselves have an infectious pride and passion for their city; perhaps no surprise when you consider the town survived six pirate assaults in 300 years, including the defence of the city by 2200 Spanish troops against a fleet of 33,000 soldiers on more than 150 ships. A feat that saw Simon Bolivar, the famed liberator, label Cartagena “The Brave City”. Today those brave passions are more likely manifested by the couples curled up in crevices and nooks along the ancient walls, lost in the romantic air of the city. For newcomers the charm of Cartagena lies in wandering aimlessly, sweating your worries away in the humidity, sampling street food, sneaking smiles from the palenqueras (fruit ladies), and wistfully contemplating running away from your day job to a life on the Caribbean coast. For those travelling further afield, Cartagena also serves as an arrival point for extended trips to the stunning coastal Tayrona National Park and the La Sierra Nevada de Cocuy mountain range which lie towards Santa Marta in the North East. The city of Cartagena de Indias was originally five islands connected by bridges, but now can be divided into three general areas: The Historic Centre (the walled old city, including Getsemani), the New City (including Bocagrande, Castillogrande and Lagito, identifiable by the line of high rise apartments) and Manga. 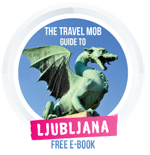 The vast majority of notable attractions are contained within the walls of the Historic Centre. Enter the old city via the clock tower opposite the Convention Centre on the marina, the icon of the modern Cartagena de Indias. Swing a left as you walk in, stop off at Portal de los Dulces and try a cocada (roasted coconut with variations of arequipe, nuts or just good old-fashioned sugar, and lots of it). Note the statue of Pedro de Heredia, who founded the city in 1533, in Plaza de los Coches and the plaque of India Catalina beneath him. Via Plaza de la Aduana head towards Parque de Bolivar. Stop off at el Museo Historico and el Museo de la Inquisicion for a run down of the time of The Inquisition, which reached Colombia in the 1600s, some haunting torture chambers and tools and some of the finest architecture in the city. 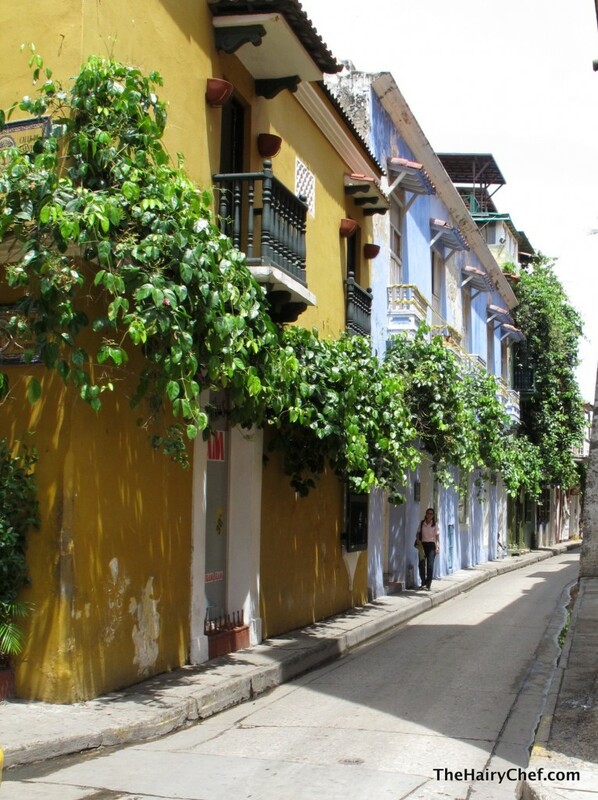 Walk down Calle de Don Sancho, taking a moment to stroll along Calle de la Mantilla, squeezing a few more minutes of colonial appreciation out of the city before turning back to drop by Teatro Heredia, whose magnificent interior plays host to the Cartagena International Film Festival. “The Triumph of the Muses”, the mural you see on the roof, painted by local artist Enrique Grau, measures 9 metres and took two years to complete, and sits atop a three-tiered majestic dress circle. Next, head to your left and continue along the top of the wall, taking in the high-rise views of Bocagrande and Castillogrande in the distance. Just when you thought you’d seen the lot, jump in a taxi or take the 15 minute walk to San Felipe fort, the largest and most important military castle built on the Latin Continent during the 208-year process of fortification of the city. 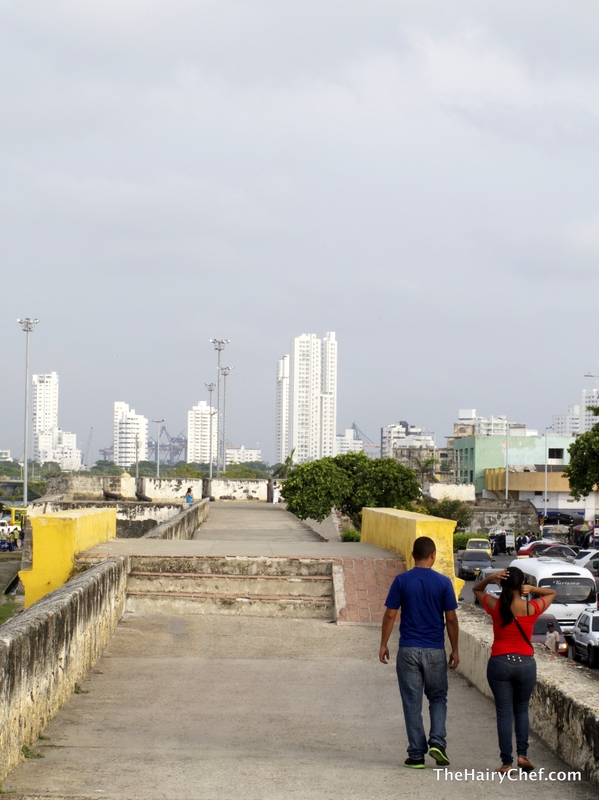 “Cartagena is a tourist destination, but it’s not a touristy place” says Gerardo Nieto. The grandson to the man who inaugurated the Cartagena Film Festival, Nieto runs a bike tour during which he points out some of the most famous sites featured in movies as well as more obscure features of the city – keep your eyes out for strange triangular protrusions on the corners of some roofs, installed during the time of the Inquisition to prevent witches from landing on your house! Beneath the northern most corner of the city wall is Museo de las Fortificaciones, an oft-missed stop off where you can explore the tunnels and water chambers that burrow inside the wall. At the north-western end of Calle de la Factoria sits Casa del Marquez de Valdehoyos, one of the largest and best preserved Colonial houses in the city that was home to the Marquez and his family. For the more adventurous, el Mercado Bazurto provides an honest glimpse into daily life in Cartagena. Catch any bus that goes Avenida Pedro de Heredia. Renowned for its stench, you’ll know when to hop off when you can smell it. You will rub shoulders and swap sweat with the real Cartageños in very tight, chaotic alleys that have been slowly taken over by local vendors pushing trolleys and carts due to the lack of any regulation of the space within the markets. The market has a reputation for pickpockets, so watch your pockets and leave your cards at home. And try the papa rellena. And if you’re thinking of spending any time on the islands sprawled through Las Islas del Rosario and Colombia’s largest coral reef, skip the tourist crowds on Playa Blanca and consider Punta Faro resort on la Isla Mucura. Click here for more on beaches in and around Cartagena. Cartagena de Indias is home to several major festivals throughout the year, such as the International Film Festival (FICCI). With the backing of the French, US and Brazilian embassies on top of a swathe of national and international sponsors, including BMW, this is a global head-turner in the film business. Meanwhile the Hay Festival, held at the end of January has become one of the most important literature and culture festivals in the Hispanic world. Twenty percent of tickets are provided free of charge for students. Budget accommodation is primarily based in Getsemani. As run down as this area looks it is generally safe, as long as you take normal precautions. Check out Media Luna Hostel – from $14 a night – set in a cute colonial building with pool, kitchen, hammocks, bike hire and free internet and wifi. Hotel Monterrey is a great midrange choice that sits just outside the old wall, and you can even catch some sun from the rooftop terrace. For luxury, try the Casa Pomba, an exquisitely restored home once belonging to La familia Pomba. It can be rented as serviced apartments. Or go modern at the Movich Hotel Cartagena de Indias, with 360 degree vistas from the rooftop terrace. 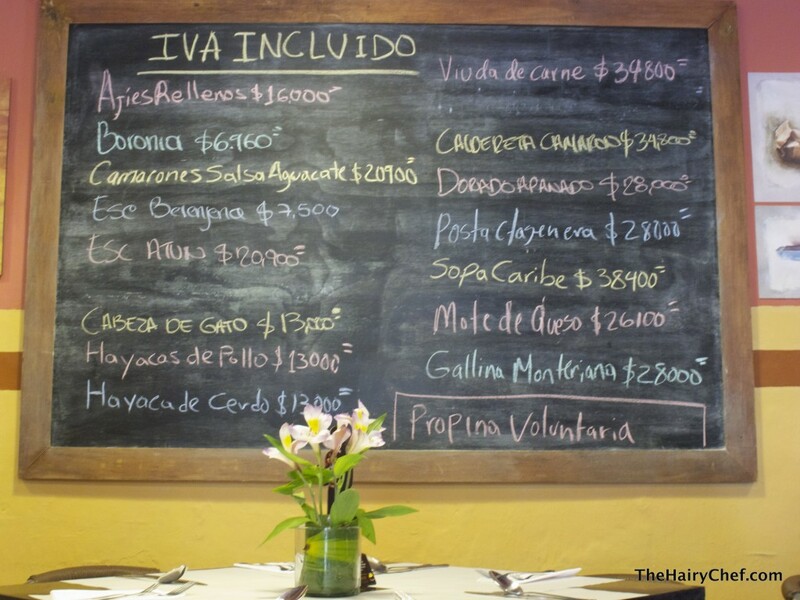 Costeño cuisine on offer in Cartagena is superb, with the seafood often flavoured with coconut and Caribbean spices. There is also an excellent choice of international cuisine. Shining stars of the dining scene include FM Restaurant (international) and La Vitriola, considered one of the best restaurants in the country. Reservations are essential. Street food is a huge attraction of Cartagena – don’t miss out on the arepa’ehuevo (a maize dough snack with a fried egg) and a cocada (toasted coconut blended with caramelized sugar) from the vendors who stand on the corner of Parque Simon Bolivar every afternoon. After a day of wandering through the heat you’ll definitely appreciate a limonada de coco (coconut milk, condensed milk and lime juice… it is as good as it sounds!). Cartageños start their night late, towards 11 or midnight, so if you’re heading out take it easy early in the night – the heat during the day will run you down. 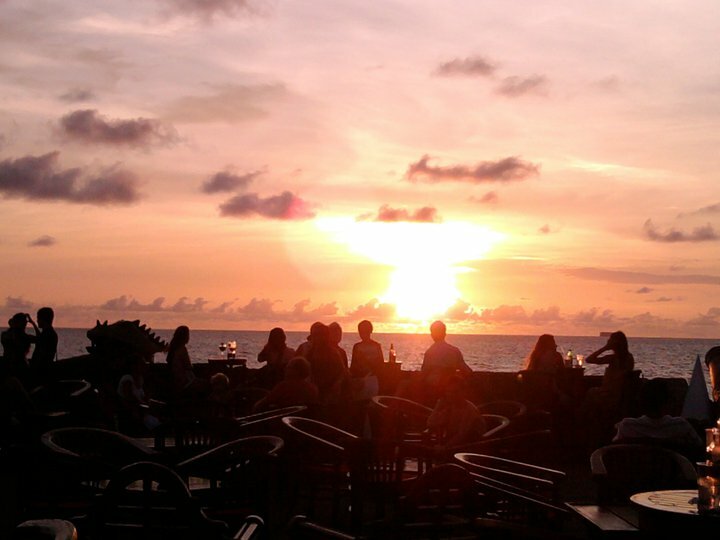 Mix it with the beautiful crowd and watch the sunset from Café del Mar situated atop the western point of the old wall. No better place to take in the city in all its majesty. Bazurto Social Club plays a mix of local cumbia rhythms in an intimate and somewhat kitsch night out, while just around the corner you can get your wiggle on at Cafe Havana. For dance fans, Fragma, offers 3 rooms (Reggaeton, electro and R & B) until the early hours of the morning. In mid 2012, Colombia was introduced to the phenomenon of budget air travel. 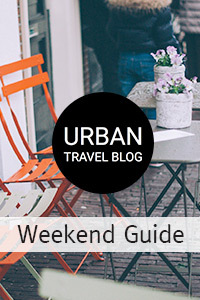 Check out the Medellin-based www.vivacolombia.co for the cheapest deals. The national carrier, for direct flights from Bogota, is Avianca, while many choose to arrive by boat from Panama. Buses service all major cities in Colombia, though travel times can be unreliable. 20 hours from Bogota. For general info and suggested tours, including a walking tour map, go to www.cartagenainfo.com. For an excellent guide and notes on architecture and significant buildings in the old city, try www.cartagenacaribe.com. 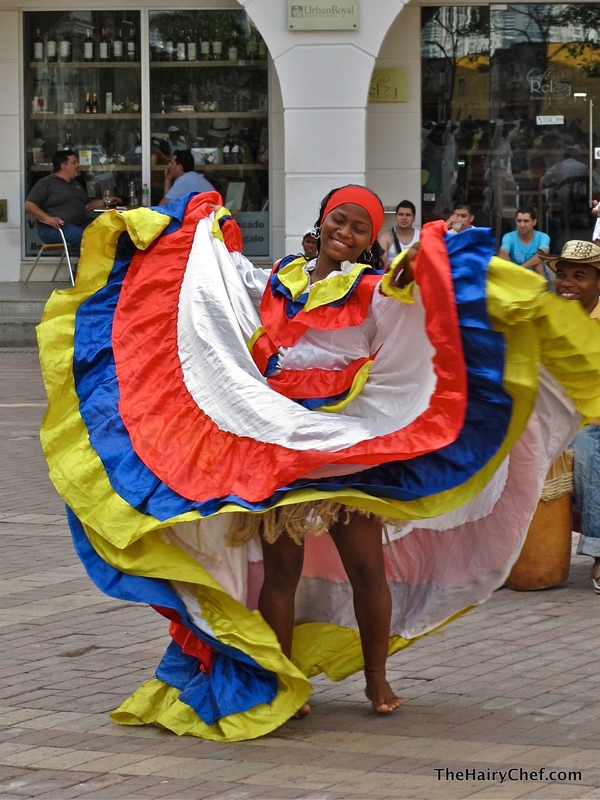 For advice from Colombia’s official travel site go to www.colombia.travel. Cartagena Forever, by Hernan Diaz, is an excellent photographic publication and captures the city with some dramatic black and white stills. Although Marquez’s Love in the Time of Cholera is set in an unnamed Caribbean port it is hard to ignore the examples and descriptions that parallel those you will come across in Cartagena de Indias. A classic. Love in the Time of Cholera, starring Javier Bardem, is the most notable film with Plaza de la Aduana, Casa de la Proclamacion, and Casa del Marquez de Valdehoyos featuring in several scenes (before you rush out to rent it however, it got 22% on Rotten Tomatoes). 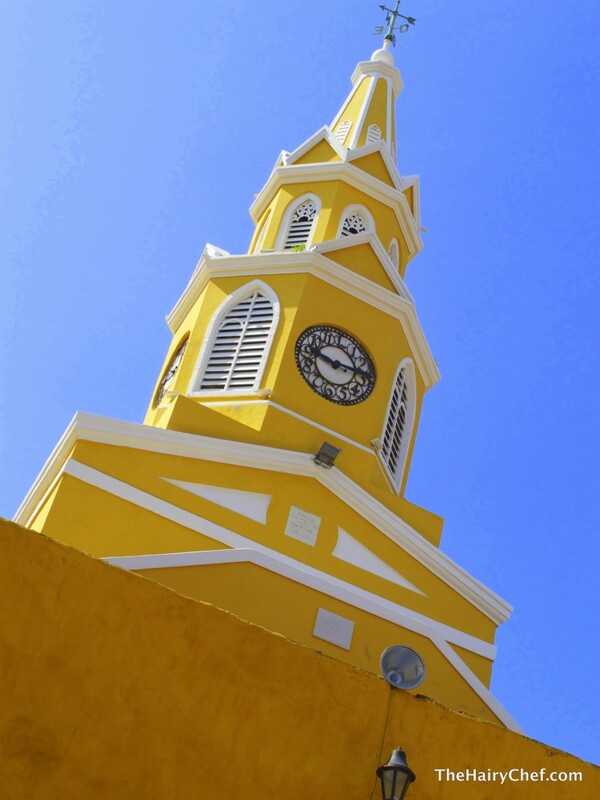 The Mission was shot here on location – rumour has it that the director needed to hire large numbers of indigenous extras, and offered jobs to the city’s tinto (coffee sellers who push carts laden with thermoses around town) sellers, leaving Cartagena without coffee for an entire week. Also worth watching is Queimada, starring Marlon Brando. Thanks for the great info! Heading to the area soon and I appreciate the insights. Nice text and good tips! Cartagena definitely is a perfect place if you are seeking for a holiday that combines city life and relaxing on the beach. It’s easy to catch a bus from there and observe the whole Caribbean coast! Great experience written in few words. Just as a reminder you loose the Castillo de San Felipe de Barajas, the biggest forttress ever built in America by spanish army!